If you obtained your Apple iPad from a wireless provider, it likely comes with a SIM card inside. You may need to insert or remove this card at some point. Here’s how. Power the iPad off then place it on a flat surface with the screen facing downward. Locate the SIM tray eject hole on your device. It will be located in various spots depending on the model of your iPad. Using the SIM eject tool that was provided with your iPad or a paper clip, gently press the button in the hole. The tray will eject. 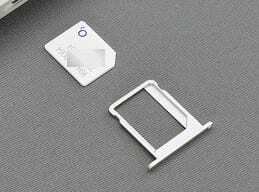 You can insert or remove the SIM card from the tray as desired. 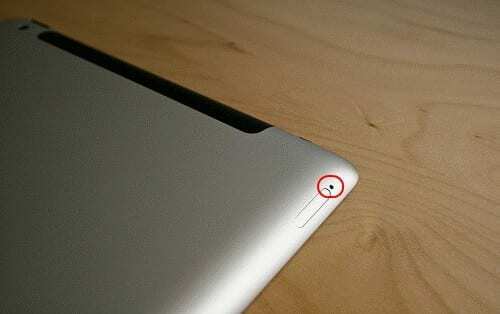 When inserting the card, ensure that the gold contacts are facing toward the back of the device, not the screen, before sliding it back into the iPad. SIM slot image by William Hook. SIM tray image by Brett Jordan. Perhaps you have a model that is Wi-Fi only? Mine does not appear to have a tray or a hole. Yes this helped a lot. No I don’t think my iPad has one. I got the tray to open using a paperclip – but it was hard to use my nail to slide the tray open further. I then used a penknife blade to jiggle the tray gently and it popped out. Use gentle force! Its much tricky than that, I lost the SIM eject tool that was provided by apple and using a paper clip instead, but I cant get the Sim tray out. Don’t know what to do.